Sally Mauk: Welcome to Capitol Talk. 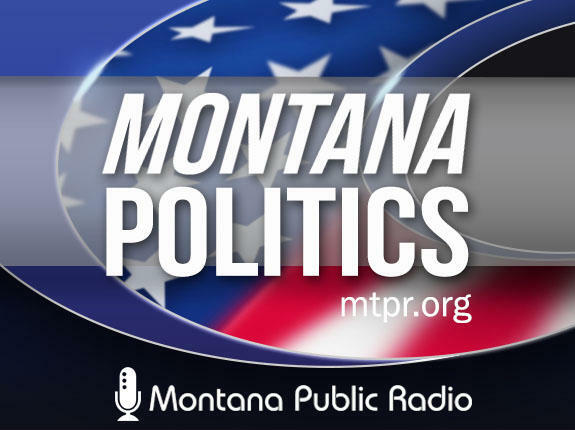 Our weekly legislative analysis program I'm Sally Mauk And I'm joined by University of Montana political science professor Rob Saldin and veteran capitol reporter Chuck Johnson of the Bozeman Daily Chronicle. And Chuck it came down to the last minute but the Legislature has failed once again to pass a major bonding infrastructure bill. And I for one am surprised. Chuck Johnson: Well it was certainly the top priority of Governor Bullock and Democrats. Republicans, in terms of their leaders, had said from the start they were for what they called essential infrastructure and they term that to be water sewer projects, school projects, roads and bridges. From the start some of the Republican leaders said they did not consider the Historical Society building, Romney hall at issue and some of those to be essential infrastructure, and that's what happened. Those projects failed. SM: There was a last minute effort Chuck by the governor to make a deal with Republican leadership but that didn't go anywhere. CJ: No, the governor and some Republicans and some Democrats who apparently met yesterday — The meeting wasn't announced we didn't know about it — and they came up with a plan. They weren't able to reach the Speaker who was out in the mountains. He found out about it when he got home last night. He had some concerns about it. Essentially what it did is it took the bonding out and funded some of the projects with other sources of money, and turned some of the buildings like the Historical Society and Romney hall into kind of a rent to lease deal that would be paid off over the long term and then sold back to the state. The Speaker Austin Knudsen said he had legal problems with that approach, that there'd been some Supreme Court decisions in Montana and attorney general opinions that said that was not a legal approach, you couldn't do it without the two thirds vote of each House. And it was that two thirds bugaboo that hurt the chances of passing the bonding bill. And the Constitution says the two thirds majority is needed because bonding puts the state into debt. So every vote on Senate Bill 367 passed with a majority of votes but failed to get the 67 votes that were needed. "We got a deer here, we just gut shot it. And now we can bring it, watch it run over the hill and we’ll follow it. And then tomorrow we’ll knock it down again. And maybe we’ll follow it over the hill the next day and knock it down again. So I say lets hit it in the head and go home." SM: That's what they did Chuck. They hit it in the head and they went home. CJ: I couldn't say it as eloquently as that but that's exactly what happened. Multiple attempts to adjourn the session that failed and finally after the bombing bill and a water projects bill failed again to meet the super-majorities required the motion to adjourn sine die passed and that was the end of the House. The Senate had not been expected to return until 1:00 p.m., but senators heard about what happened in the House. They came in and finished up too. So the 2017 session is over. Both sides and Governor Bullock cited some major accomplishments. Bullock and Democrats were very disappointed by the defeat of the bonding. Republicans were very happy with the work on the budget bill. A tight budget bill in tight times. Republicans cited passage of a number of other infrastructure bills: highways, water and sewer projects. They said with federal matching funds these will total over a billion dollars. But the one that got the most attention was the bonding bill and it went down again. "So that when we have a budget crisis either like we're in right now or worse, so that we know where the money is going to come from and what cuts are going to be made, and at what levels are going to be made." SM: And this had bipartisan support Chuck. CJ: It did. Montana, up until now, has been one of the few states without a so-called rainy day fund or a budget stabilization fund. What it does is it has a bunch of triggers that if revenues come certain amounts below the projections, then certain actions happen. And the first source of money is the fund set aside for fire protection and certain amount could be taken out of that, and there's a long list of what would be done. And so this would prevent situations like we saw this session where the revenues essentially fell off a cliff and the Legislature came to town and had to struggle to try to repair it. I think it's a good proposal it was advocated by a national group Pew Research Center. It seemed to meet the approval of both sides with some changes. SM: The session did get a lot done but it's still, I think Chuck, going to be seen as a failure because of the lack of passage of the infrastructure bill. And who's going to bear the brunt of the blame? Certainly both parties will accuse the other but I'm guessing that the citizens of Montana are going to say the Legislature in broad terms bears the blame. CJ: I think it depends. If you're in Bozeman or Helena where you have buildings on the list, you're probably going to blame the Legislature. A lot of the communities in the state would not have gotten anything from that bill. But a lot would have. So I think, you know, there's criticism for the Legislature for failing to pass this, criticism maybe for Governor Bullock for not being able to strike a deal, although he said he tried and they never could get the speaker Austin Knudsen on board. So I don't know. I don't know if infrastructure's the sole failure. I think people will remember some other things the Legislature did a lot for Child Protective Services. They passed a dozen or so bills to reform the criminal justice system. But to be sure the bonding Bill got a lot of press, especially in recent days. SM: Rob, Montana's U.S. House race continues to make headlines in Montana and nationally, and not always in ways that candidates would prefer. Last week Republican Greg Gianforte made waves when he took Donald Trump Jr. on a prairie dog hunt. And this week Democrat Rob Quist is in the spotlight for some musical gigs he had at an Idaho nudist resort. You can't say this race isn't colorful. Rob Saldin: You're right. This new story is unhelpful for Quist. I mean remember Quist and Gianforte are in slightly different positions here. Gianforte is in the enviable position of being able to basically just go after Republican voters. If he can win enough people who voted for Trump and Zinke, he wins. Quist not only has to maintain his base of Democrats and progressives. He also has to reach out to a certain slice of the Republican electorate, as Governor Bullock did last fall, If he's going to win this thing. And performing at a nudist colony is not a very good way to appeal to conservative Montanans and rural Montanans. "Quist talks folksy, but his record is more Nancy Pelosi than Montana. Quist supports devastating military budget cuts but would spend your tax dollars on a government health plan even more expensive than Obamacare. And Quist has a long pattern of failing to pay his bills. He's even faced multiple warrants for not paying his taxes. Can you trust Quist and Pelosi with your money? Congressional Leadership Fund is responsible for the content of this advertising." SM: And Rob, I'm guessing that Rob Quist has never met Nancy Pelosi, but she's always the bogeyman that Republicans go to. RS: Exactly. You know Sally this week there was a very interesting national poll released by the Center for Politics which is Larry Sabato's outfit at the University of Virginia. And this poll was exclusively focused on people who voted for Trump last November, and was basically an effort to try to get a better understanding of where these folks stand now 100 days into the presidency. Well buried deep in this poll is one little nugget that I think is very instructive among this slice of the population, Trump voters, Nancy Pelosi has just a 5 percent favorability rating with 77 percent unfavorable. And that's really quite terrible. And so I think this is a great explanation for why we see efforts to connect the Democratic candidates in these special elections to, not only the person who would be their leader in the Democratic caucus if they get elected, but also one of the least popular people in American politics insofar as Trump voters are concerned. SM: Right up there with Satan, I think. "Donald Trump won here by over 20 points. The Trump train is still chugging along in Montana." SM: Gianforte hopes to chug along to victory on that train. RS: Sure. You know I think he's probably right in terms of where Trump stands in Montana. We got our first and perhaps only public poll for this special election earlier this week conducted by Emerson College; and it found that Trump's approval rating in Montana is 55 percent and that among those who voted for him last fall, 91 percent remain supportive. This basically dovetails with what we've seen in that University of Virginia poll: 93 percent of people who voted for Trump still approve. And that's been demonstrated in other polling as well. And so that matters for our special election because Trump voters make up a majority of the likely electorate. And so that's why we see, I think, Gianforte focusing so strongly on this group. You know if he'd done better among Trump voters last fall he'd be governor right now. But if he can nail down that population this time, he'll have his ticket punched to Washington. SM: We should point out though that that poll does have some drawbacks. It was strictly a landline poll for example. RS: Yeah exactly. And so it doesn't sample people like me who only have cell phones who don't have a landline in their house. And there are ways that pollsters try to take that into account when they do a poll like this. But it's difficult, and it just risks screwing up the sample. That being said, the basic take away from the poll is that Gianforte's up 15 points. That's, I think, not totally surprising. It's very much in line with what we've seen in House elections ever since Pat Williams retired over 20 years ago. Republicans have won by large margins almost all of the time. It's very consistent with the margin by which Ryan Zinke beat John Lewis in 2014 and the margin by which he beat Denise Juno just a few months ago. SM: Chuck, the mail ballots go out on Monday and turnout is normally low for these kinds of special elections. But this one might be an exception. What do you think? CJ: Well I don't know. I certainly see on social media fairly good crowds at the candidates' events. Lots of letters to the editor. Again, they may be canned ones that are coming from the two parties, but I think there's interest; a lot of yard signs up in Helena. SM: Well we will soon know. The election of course is May 25. You've been listening to that Capitol Talk, our weekly legislative analysis program. I'm Sally Mauk, and I've been speaking with veteran Capital Reporter Chuck Johnson of the Bozeman Daily Chronicle and University of Montana Political Science professor Rob Saldin. And normally with the legislature adjourned this would be our last show. But we've decided we can't resist talking politics. So we're going to continue our weekly program through that May 25 election and we hope you the listener join us again next week. Chuck and Rob I'll talk to you then. 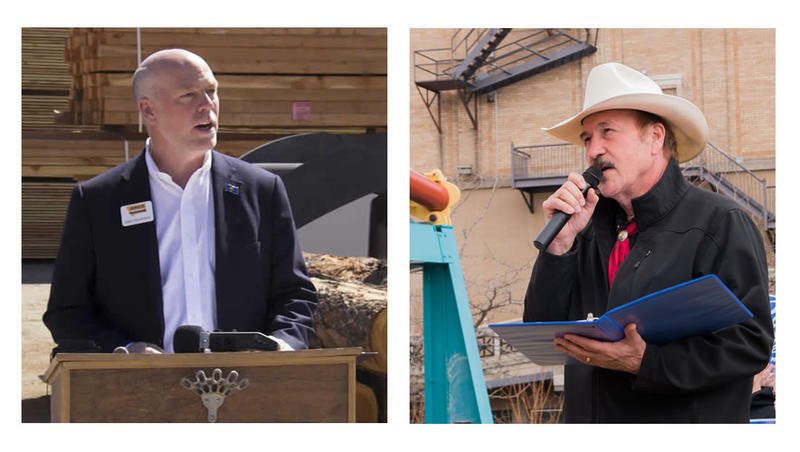 If you missed the U.S. House candidates Rob Quist, Greg Gianforte, and Mark Wicks in their MTN News debate from Saturday, April 29 you can watch it here. On This episode of "Capitol Talk," Sally, Chuck and Rob discuss the budget, tax and infrastructure questions awaiting resolution during the final week of the Legislative session. They’ll review the latest ads in the U.S. House Race, and question whether the national attention in that race will help or hurt the candidates. What does the Kansas congressional election have to do with Montana's House race? Will the upcoming visits by Donald Trump Jr. and (possibly) Bernie Sanders, help the candidates? Mail-only voting looks dead in the Legislature, where passage of a gas tax hike looks likely and infrastructure funding and bonding are still being debated. And in 2018 election news, Jon Tester has a Republican challenger in the Senate race. These stories an more on this episode of "Capitol Talk." Can the governor's amendatory veto bring back the mail ballot option for the special election? We parse Quist's new TV ads and his decision not to participate in a public broadcasting statewide debate. We also discuss what Gianforte gains or loses by keeping a low profile. Then we look at how Tester's Gorsuch vote might affect his re-election chances next year. Finally, we remember the well-respected former Helena legislator Mignon Waterman who died this week.